It’s been a crazy week here since getting back from our whirlwind adventure in LA last weekend, hubby had to take off on more work travel for the week and it was madness for me at work. 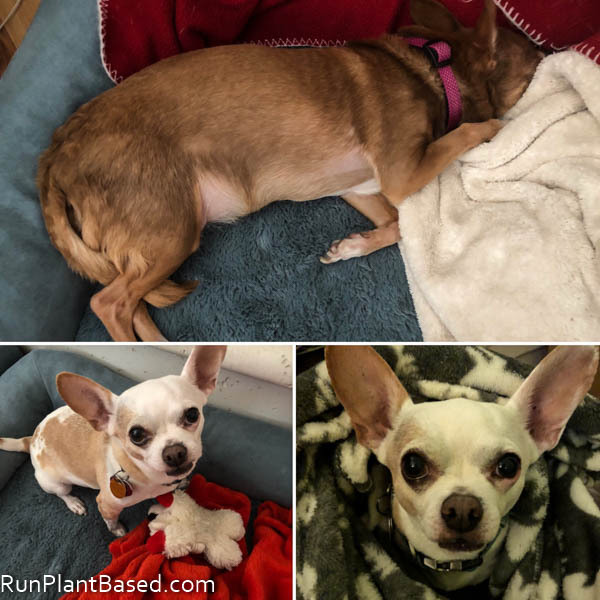 It wasn’t for Leela, she is loving crashing in her new cooling bed with the hot weather this weekend, summer is officially here with a high of 100 degrees today. Miko seems to love the heat and has been ready to play and go for long walks to visit our grazing sheep. California does not take wildfire prevention lightly, especially after last year. 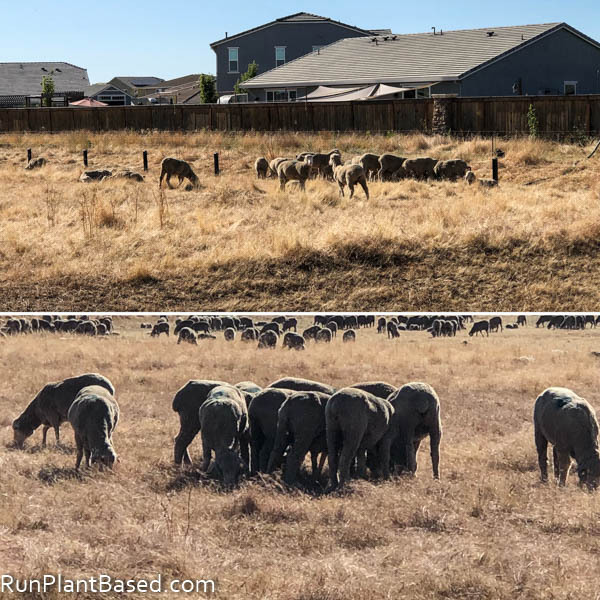 Lots of grazing sheep and goat herds have been used in parks and open spaces to clear dry brush. And I love watching the herd near our house currently, visiting them makes runs and dog walks more fun. 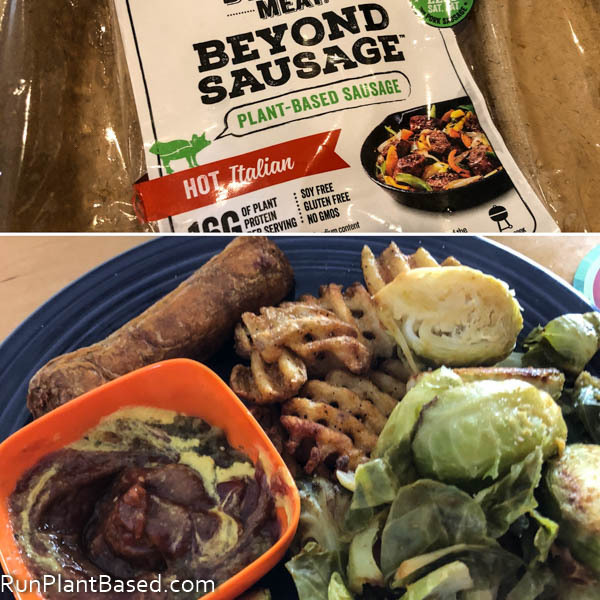 For Memorial Day last weekend, we air fried more Beyond Meat Beyond Sausage and the spicy Italian flavor does not disappoint, probably my favorite flavor so far. 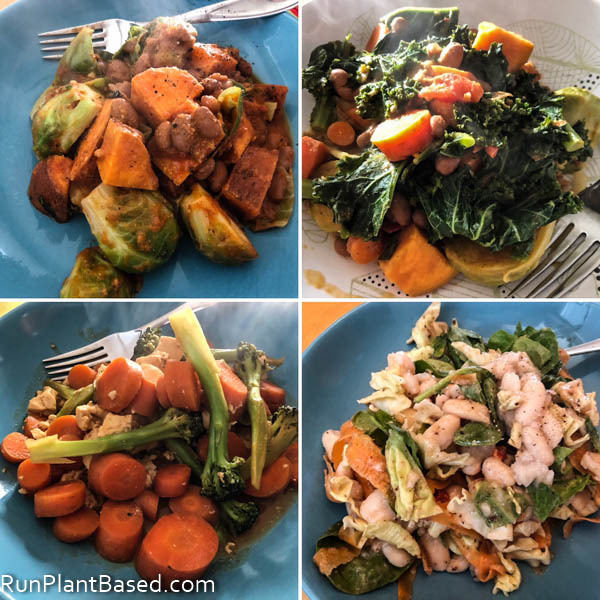 I tried to be healthier this week too after splurging last weekend with simple oil free stir fries and salads and getting in lots of beans. 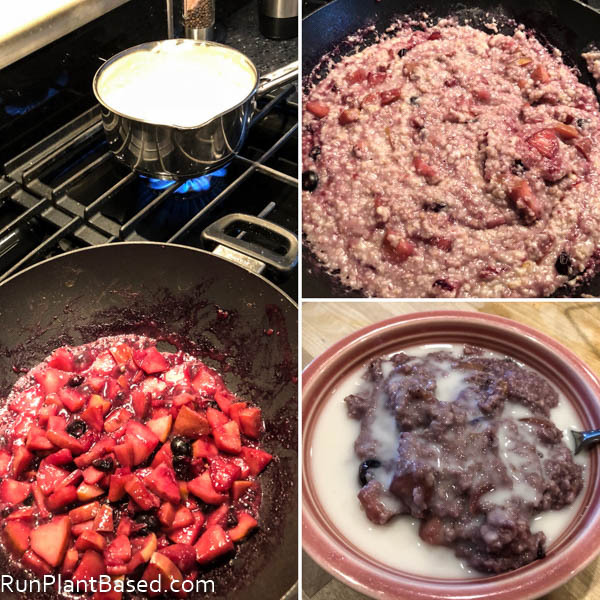 And have a little fun with weekend breakfast making apple cinnamon blueberry oatmeal sauteing the fruit in a little coconut milk in a wok, then adding cooked oatmeal. It was delicious with almond milk and stevia. Apparently muscle tees are in and I had fun wearing my two new ones from Eat Drink Vegan to the gym this week. 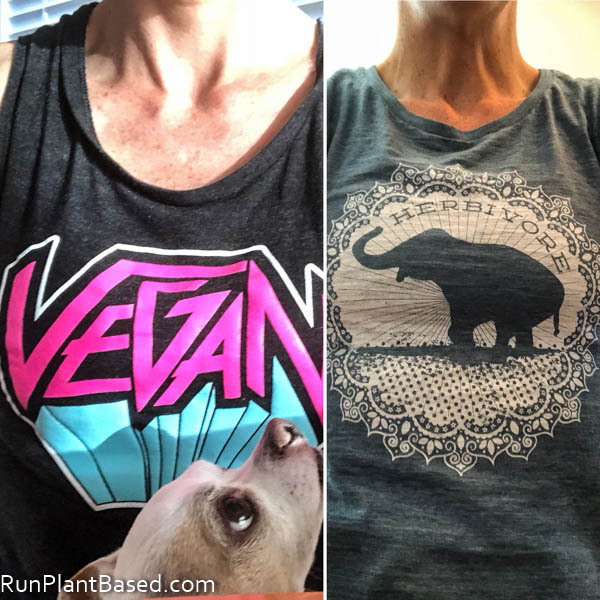 My collection of vegan gym tees and tanks is getting a little crazy, but it’s too fun to rotate so many options. For the entire month of June there is The Great Sacramento Vegan Burger Challenge going on which I’m determined to get to as many restaurants as I can. There there are a lot! 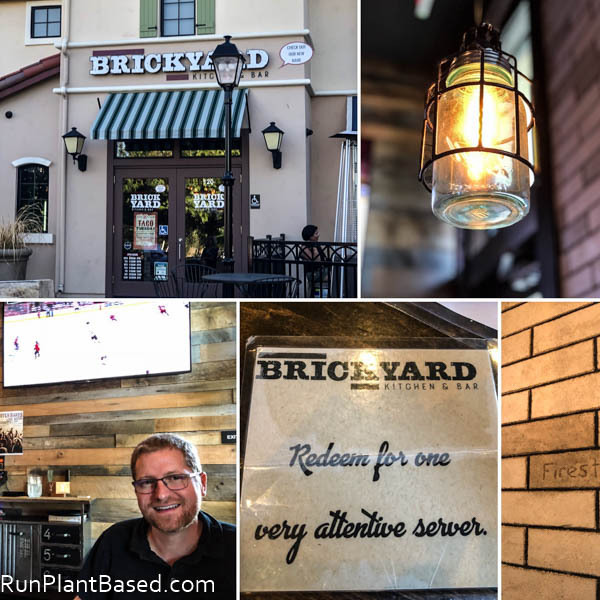 Yesterday hubby and I stepped out to Brick Yard Kitchen & Bar to try their creative Beyond Meat Burger offerings. I loved the decor, modern, eco-friendly feeling, clean, and natural. 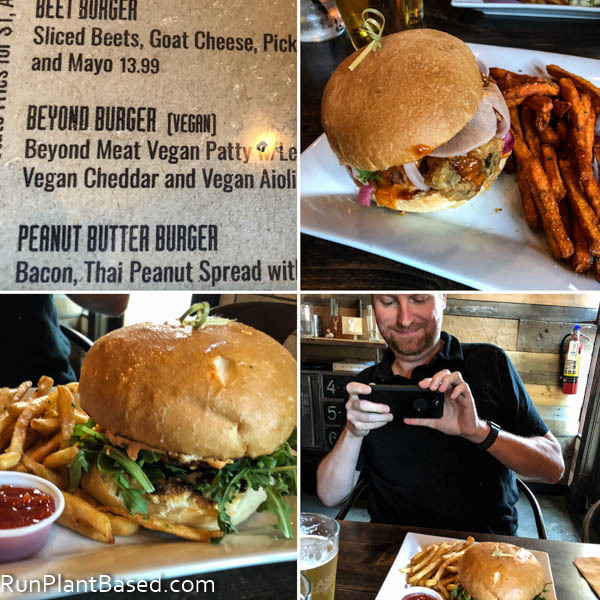 They had two vegan Beyond Meat options – a more traditional burger with vegan cheese which hubby got and a crazy Korean burger with spicy sauce, fried jalapenos, and cultured veggies which I got. They were both great, hubby like his traditional better being a burger fan and I liked the uniqueness and creativity in mine better so it worked out perfectly. :-) There will be a lot more vegan burger eating this month! Lots of vegan meatball recipes here. And vegan cheese recipes here. Meatless Monday is helping to reduce emissions. Investors betting on vegan startups. Meghan Markle might be a part time vegan. Mena Suvari embraces the full vegan lifestyle. Miley Cyrus is being praised for animal activism. How much exercise is needed to protect our brains. Use this scale to evaluate mental health. This author saw many benefits from trying the vegan lifestyle. Tips for a beginner vegan. The vegan diet of basketball player Michael Porter. Moby on choosing kindness or cruelty. Another article on The Great Sacramento Vegan Burger Challenge. A glowing review for the Beyond Meat Beyond Sausage. Yes and there are so many vegan burger options now from the crazy, really meat like ones to creative veggie options. I had a great one made from oyster mushrooms yesterday. 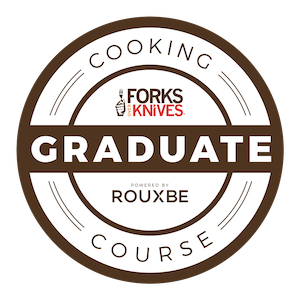 It’s always so exciting to see the creative burgers that come out of this challenge. Maybe one day I’ll get to try them for myself! Yes, there are so many creative options we still need to get too and I hope you can make it!